The power struggle between Venezuela’s President Nicolas Maduro and his self-proclaimed successor Juan Guaido will move to Colombia’s border where the United States is sending humanitarian aid. 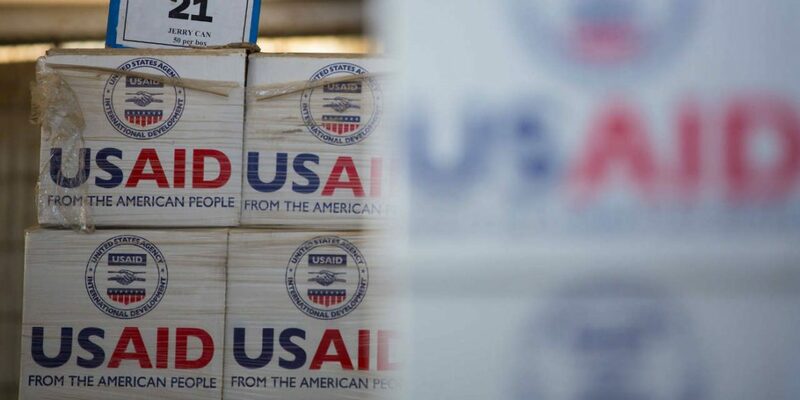 “Answering the call” of Guaido, who proclaimed himself president last month, US national security adviser John Bolton said Saturday that the State Department and humanitarian organization USAID are sending aid packages to Colombian border city Cucuta to be redistributed in Venezuela. A military commander in Tachira, the Venezuelan state bordering Cucuta, called the move “an act of provocation” in an interview with Colombian radio station Blu on Sunday but said border authorities would not stop Venezuelan citizens crossing the border with American aid packages. Anything that is beneficial to the people of Venezuela is welcome. We do not oppose anything, any element of that characteristic. But we already know the history of humanitarian aid. In Syria, Libya and Iraq, we see the how this humanitarian aid ended. Maduro has long refused the entry of aid shipments from the US, claiming this would open the door to military intervention in the country that has been sinking deeper and deeper into crisis. But Guaido said he would mobilize his followers on the border to allow the entry of the aid packages, claiming that “there are between 200,000 and 300,000 Venezuelans at risk of dying” because of grave food and medicine shortages in the country. Venezuela’s authoritarian president is under increased international pressure to transfer power to his self-proclaimed successor, who has said he wants new elections in Venezuela. The US last week announced it would freeze all assets of Venezuela’s state oil company PDVSA, by far the largest source of revenue for the the country east of Colombia. European countries have begun recognizing the opposition leader as the country’s legitimate president after Maduro ignored an ultimatum to call elections in the strongly divided country. The Venezuelan military, which is considered crucial in the Venezuelan power struggle, has so far remained loyal to Maduro, who can also count on the support of Russia and China.